I'm glad to see your entry! The sag on the tracks looks good! 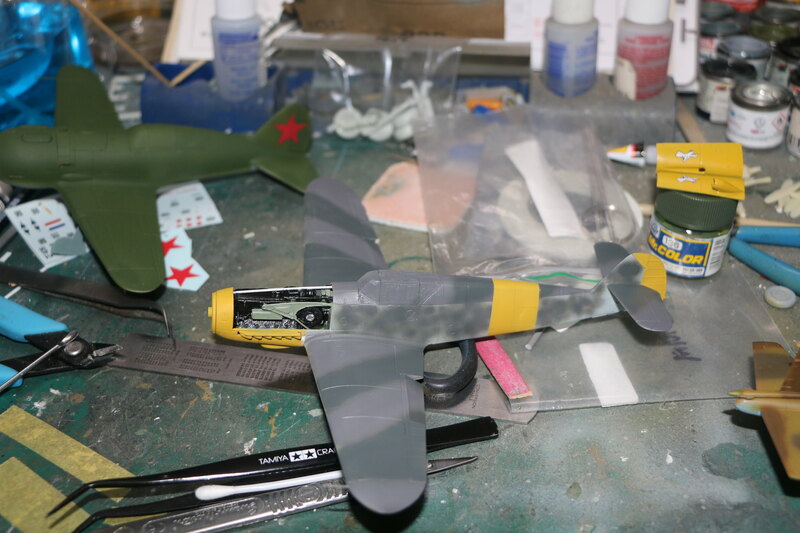 FirstSergeant, your Sturmovik is coming along nicely! The best words a modeller could hear First sergeant "Fit is good". And looking good it is. Nice to see you John A. Yep death alright, 24th crushed at Stalingrad. The link and length tracks don't look too bad. Very impressive builds there Gents!! Been a while sense my last post here on Armorama. Baseball, Work.... been taking up all my time again. 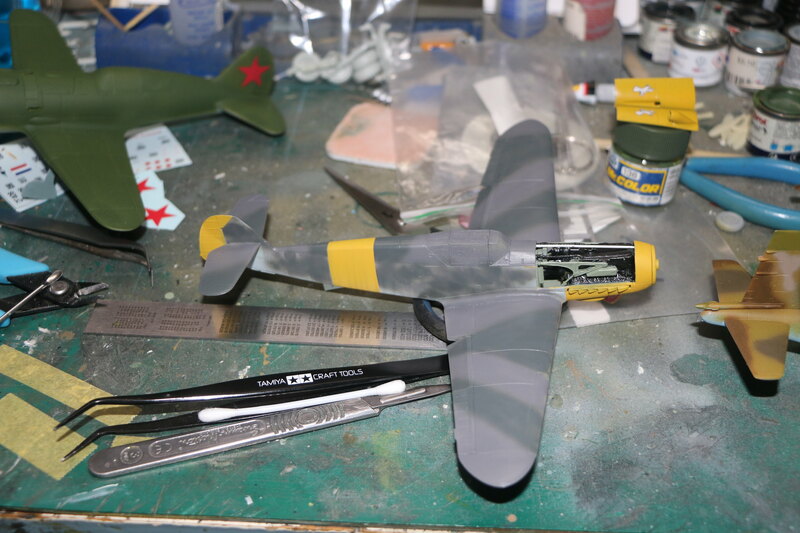 I never have time to complete a 1/35 scale model for any campaign that I have joined. With that said, I decide that I'm going to scale down to 1/72. I will have enough time to build, paint and weather . My entry for this campaign is Dragons ArmorPro 1/72 PzKpfw IV Ausf F2 (G). Death of the Leaping Horseman (24thPzDiv) sounds like a good Division for this F2! Here I am at the moment. 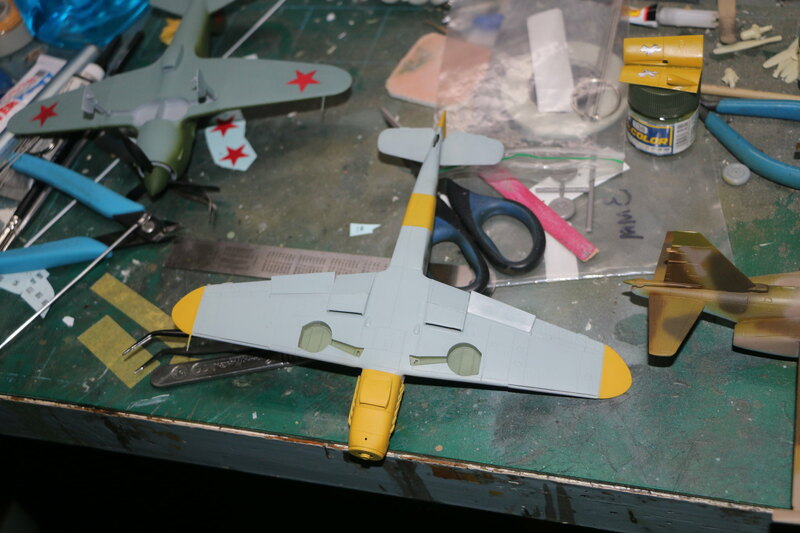 I've made some progress on the Il-2m3. Cockpit painted, assembled. Wings assembled. Fuselage assembled. Fuselage and wings together. Fit is good. More to follow. 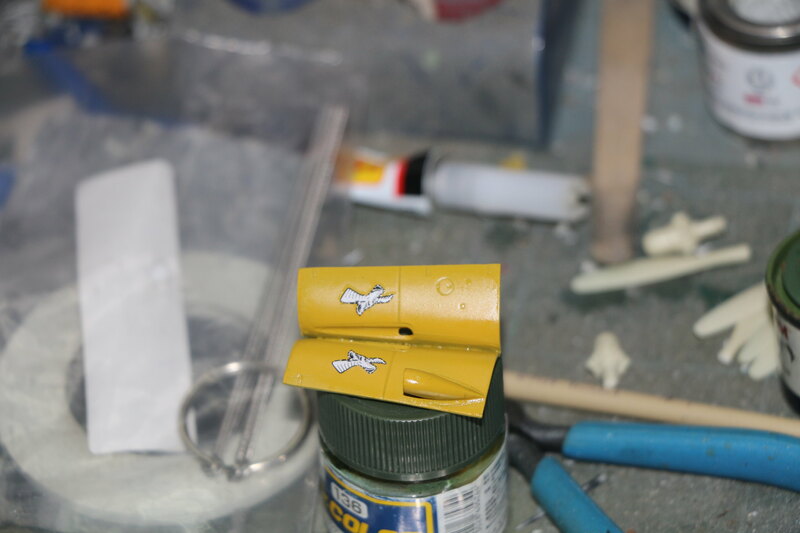 KV-1 has got pre-shade, base coat, and a very subtle post-shade. The extra texture and weld lines make a huge difference, if I may say; although now that I look at it, I think I should have given the glacis a similar treatment to the turret. No going back now! Welcome to the campaign! I have this kit too... so your build will have great interest for me! I am going to try building Tamiya's Marder III Pak 36(r) for this campaign. I have some Echelon markings for Panzerjäger-Abteilung 140 of the 22nd Panzer Division. Mark and Chris. Coming along nicely guys. Loving the look of your 109! The paint job looks sweet! I like the extra texture on your KV. I've been looking at a lot of Russian tanks lately, and they are rough! A little more progress to report I'm done with the initial paint work now for some decals and a little weathering. Been a pretty productive weekend. 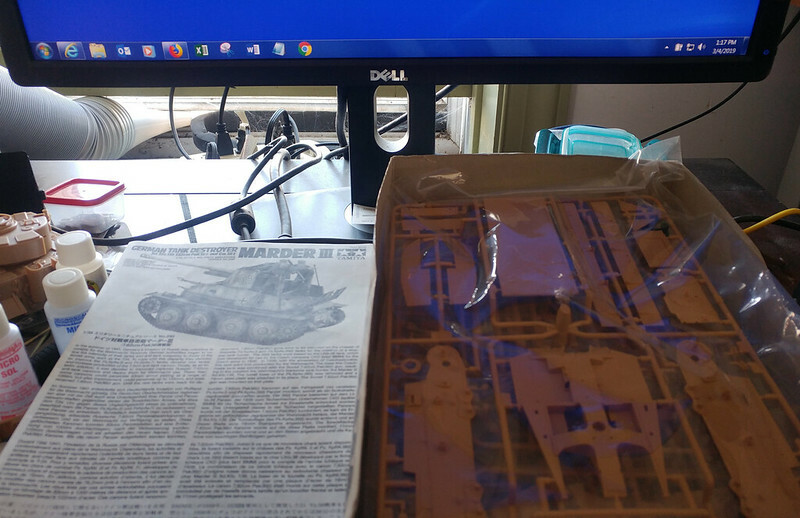 Nearly done with construction of the KV-1, and even had time to engineer some enhancements to my painting station. After the first try, I primed it and decided I needed to even it out in a couple spots--hence the two-tone appearance. Also added welds to the extra armor plating and textured the edges to create a rough finish from torch cutting. That's one technique I've yet to try though I've seen it used numerous times. Looks good, though I'm always afraid of mis-alignment issues. Misalignment won't be an issue because I actually assemble it all in situ, then remove for painting. The tricky part will be the painting. Keeping my fingers crossed. Pathfinder14, Is it the motorcycle buried in rubble? Perhaps that rider trying to lasso the pig in the country got his come-uppance in the city? I was going to focus on the bike in the rubble a bit more but figured that would give it away too much. Gaz, thanks for the reminder, I'll try and find an old camera and see if I can take better photos before adding them to the gallery as my phone camera isn't getting the results I like. Thanks so much for the info, Mark! I really like your dioramas. I can see the tie in as the Germans taking the food as they advance, and then the Red Army handing out food as it advances. Don't forget to upload a pic of at least one of your dioramas into the gallery so that you can be given full credit for completing the campaign.